probably my favorite piece in the collection. The curve of the wood is gorgeous. I would get the blue/brown. 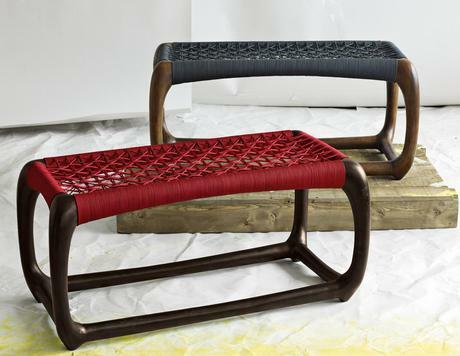 Cape Town designer John Vogel created these benches with webbed seats inspired by traditional African riempie weaving. This console is a wonderful blend of clean, modern lines, and the grace of spindle legs. How gorgeous is that red bench? 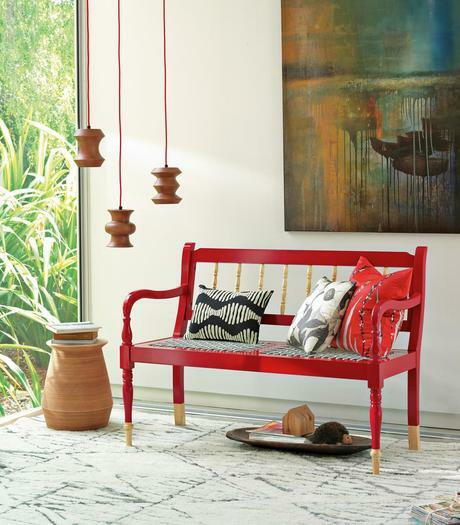 The "Source" bench is an update on a South African furniture icon. 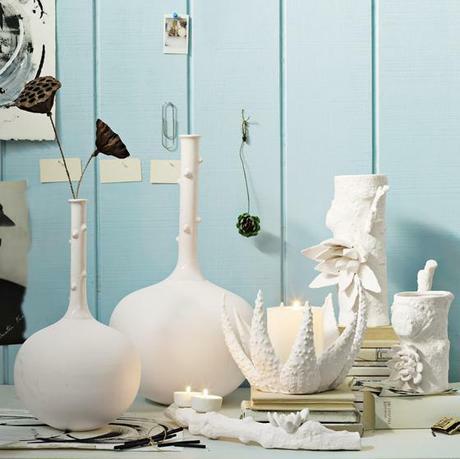 This garden of pottery candleholders and vases were created by Johannesburg potters Anthony Harris and Gerhard Swart. The horn-shaped back of this Vogel dining chair was inspired by the antlers of African Nguni cattle. I have really liked what West Elm has done the last few years, and their latest efforts are no exception. I have a soft spot for all things that focus on craftsmanship, and tribal is huge right now, and all of these pieces marry the two. What I've shown here is just a small peek. You can see more at Elle Decor, which broke the news revealing the collection, and you can now shop the collection early. 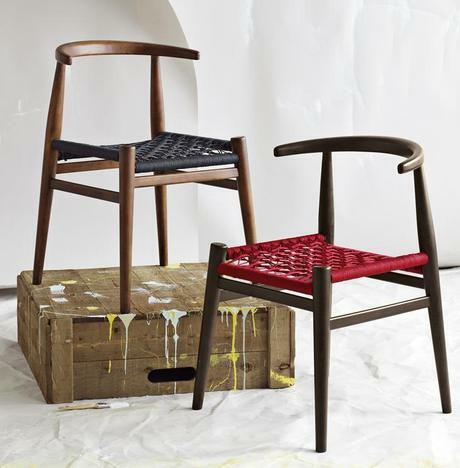 What do you think of West Elm and their new collection?